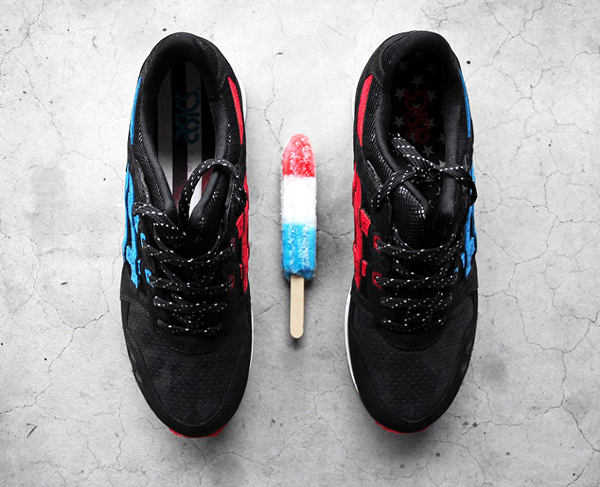 Asics Gel Lyte III & Wale "Bottle Rocket"
Asics have been one of the biggest growing brands in the sneaker world. 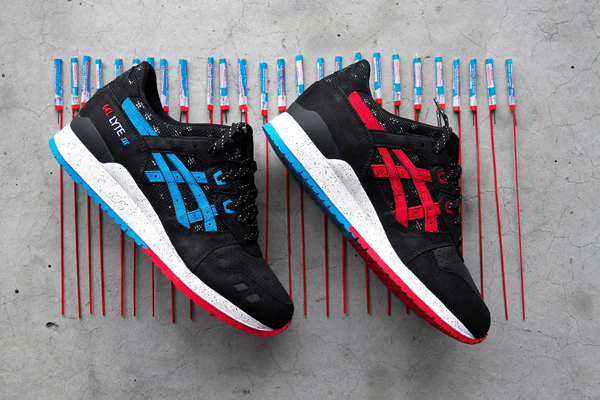 Sneakerheads love their models of the Gel Lyte III and the Gel Lyte V. To match their amazing brand they will be releasing the amazing Gel Lyte III in USA/Bottle Rocket colorway for the 4th of July. The model gets its amazing name from the bottle rocket popsicles that almost everyone remembers buying from their local ice cream man during their childhood. What is truly amazing about this colorway is that one of the biggest rappers and sneakerheads in the game, Wale, also designed it. Wale is a rapper from D.C who is known for his amazing lyrics, his friendship with Jerry Seinfeld, and his amazing sneaker game. Since his debut hit Nike Boots, Wale has been one of the best sneakerheads and rappers the world has seen. It was only right that Asics and Wale collaborate together to create this amazing Gel Lyte III colorway. The shoe features an all black upper with hints of red & blue that gives it that bottle rocket resemblance and the 4th of July honor. Wale himself has been seen rocking the shoe in latest hit video the Matrimony featuring Usher. (Image Below) Check out the images below and grab this sneaker June 26th for 160$.